Lego Mindstorms is a technology-focused environment that introduces students to ‘hands-on-learning’ through the construction of robotic projects that are able to be controlled through the use of a graphical programming interface. 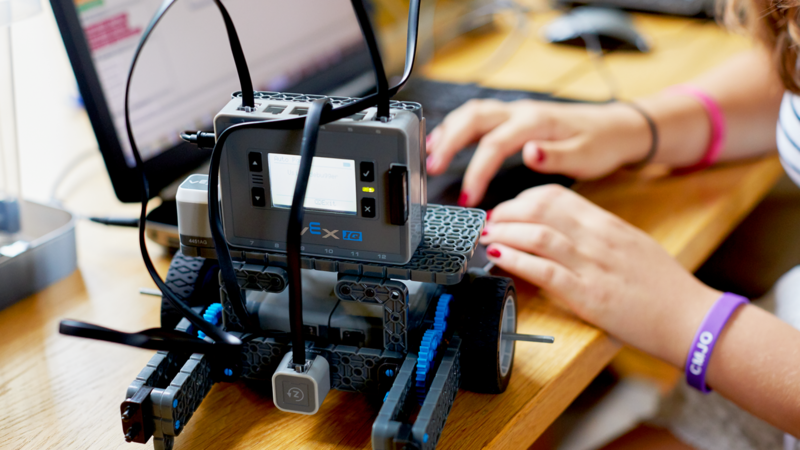 Robotics-focused camps are a highly-engaging way in which to introduce or extend students to foundational concepts within coding whilst concurrently learning principles of robotic engineering. Throughout the this camp students will build increasingly complex hardware-software projects to eventually compete against each other in challenges similar to those found within the First Lego World League. This class is sure to light up your child’s passion for tech within a competitive and engaging learning environment. A This is our Junior Robotics course for ages 9-12 and we use block-based coding. Our senior robotics class for ages 12+ uses the Robot C programming language.